Mrs. Willie’s Old Rolling Pin | Nan Tubre Writes . . . I ran across Mrs. Willie’s old rolling pin as I was digging through my lost and found drawer. That is what I call that particular drawer because it is home to items we seldom use. There is stuff in that drawer that I haven’t looked at for years. Yeah, I’m not the most organized or neatest person in the world. 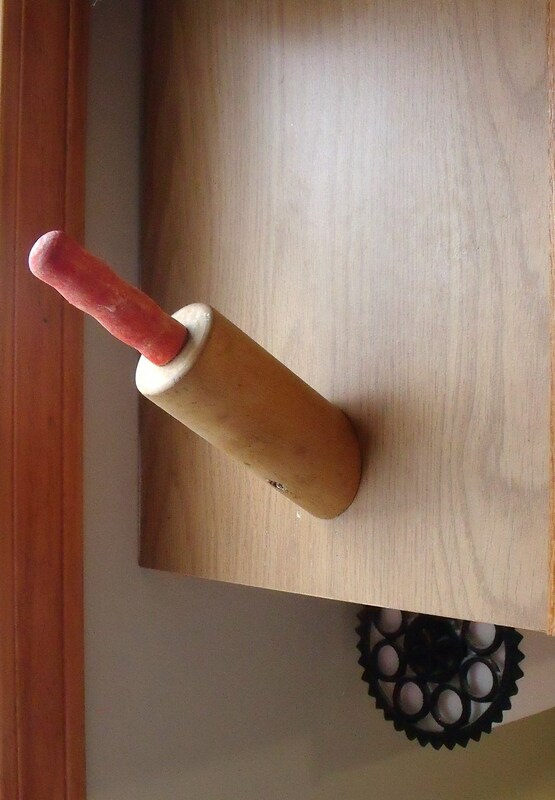 Anyway…yesterday the lost and found drawer offered Mrs. Willie’s rolling pin along with an idea. I can’t take the credit for the idea because I have seen something like it on a TV commercial. The funny thing is when I was describing it to my husband the only thing I could remember to call it was ‘pin roller thingy’. That in itself is a statement to these modern times. Does anybody still use a rolling pin? You do?? Well, I’m not that good in the kitchen so my biscuit and pie crust making abilities are limited. If I can buy them instead of make them, I will. I used to try to make biscuits. My ex-husband used to throw them outside for the dog and then laugh when even the dog wouldn’t eat them. Did I mention EX-husband? My husband (NOT the ex) was raised by the most wonderful southern woman, in fact, the epitome of southern gentility with more home-maker talents that I could ever hope to have. She had her family spoiled to the nth degree with her domestic prowess. The love of my life told me his daddy always said they “didn’t have much, but they did have a roof over their head, clean sheets, and a bite to eat”. If you knew that family, you would most certainly understand that was a compliment of the highest degree. When I tell you Mrs. Willie was a good cook, I’m saying she was a goooood cook. She had old-timey recipes like tomato gravy, gumbo, jambalaya, syrup cake, meatball stew, rice dressing, chicken gravy, wilted lettuce, mustard greens, and yes, biscuits and pies. Of course, in Louisiana, just about everything is eaten over rice. I remember her red beans and rice, her white beans (commonly known as navy beans) with ham hocks and the best cornbread I’ve ever tasted. Needless to say, her rolling pin was used often and with the love of a woman who’s focus in life was to 1) serve God and 2) serve her family. She was also very head strong, but that’s another story. Back to the (brilliant) idea. I couldn’t see leaving the poor rolling pin in the lost and found drawer forever. Even though I don’t use it, and pretty much never will, I thought why not put it to good use? I took great pains to relay to the love of my life what I wanted to do to the rolling pin. He was aghast and thought it a great sacrilege. Well, of course he would, we were talking about destroying his saintly mother’s rolling pin, her very own symbol of womanhood. At this point I must tell you that his mother and I had one thing in common – strong-headedness. Once I explained to my dear that using it as a towel rack was waaaay better than leaving it in the lost and found drawer, he caved. Poor thing. He mumbled something about his grandmother and his granddaughter while he set up the saw. Then it happened. He created an art work that I will cherish and enjoy forever! 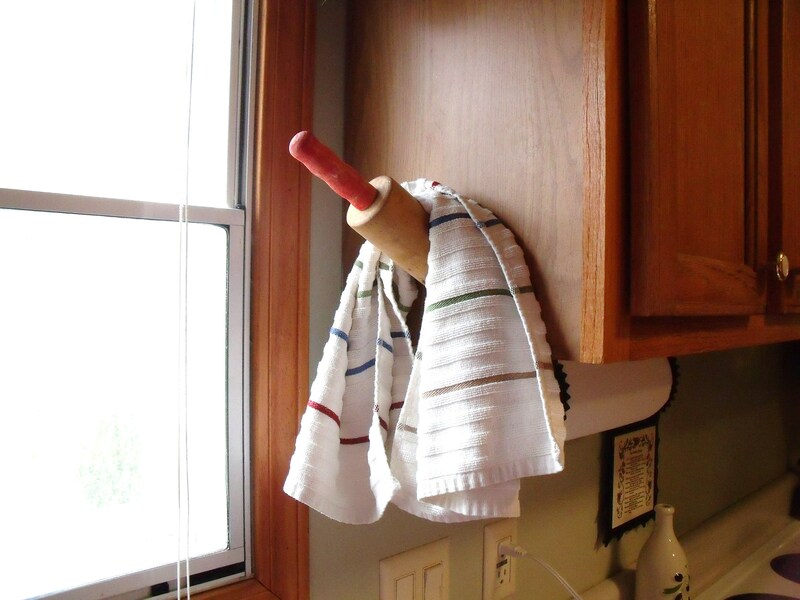 After he brushed away the tears -I mean sawdust- he saw the light and declared that using Mrs. Willie’s rolling pin for a kitchen towel hanger was a grand idea. He likes it, he likes it! It no longer languishes in a drawer where no one at all can appreciate it’s beauty and remember it’s history and the loving hands that worked it for years. I love it, and better yet, my darling husband loves it too. Tell me, how do you like it? He cut it in half and then put a 30 degree edge on it to angle it in an upward position. 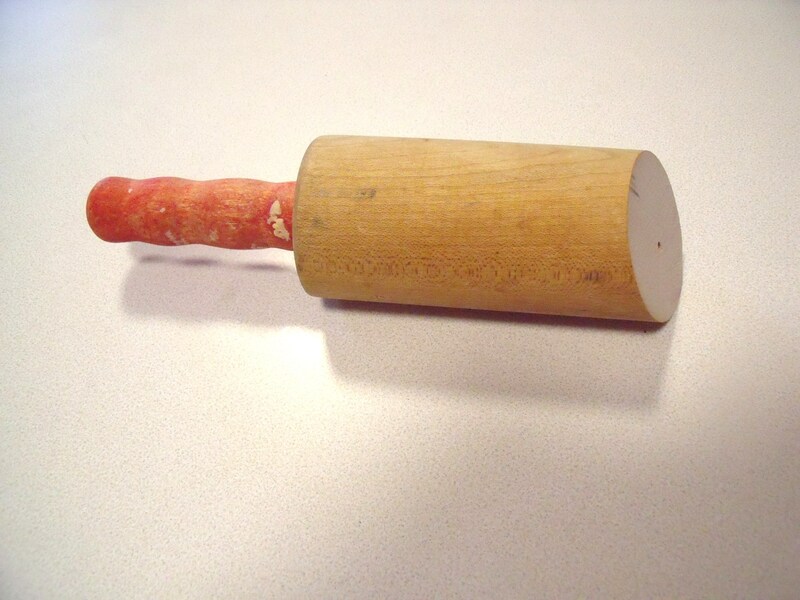 If you want to do this project, be sure to pick a rolling pin that is solid and doesn’t have rotating handles. The type that rolls around will have a metal rod in them and that could wreck your saw if you’re not careful! For the record, my husband spoils me much like his mother spoiled him. Trust me, he is spoiled. But so am I. He does 95% of the cooking and it is obvious who he learned that from. And he does things for me that he usually has to think twice about. Like cutting up a piece of his childhood. He did it just for me. It was a sacrifice. Does that remind you about anyone? Can you think of another who made a sacrifice he didn’t really want to? Good grief, now I’m comparing Jesus Christ to a rolling pin! But it’s all about the sacrifice. Jesus stepped forward and made the ultimate sacrifice for people he loved. You. Me. He asked His Father to take the cup from Him, but that wasn’t the way it was supposed to happen. God’s design was that His Son would have to make a sacrifice for all of our lost souls, to offer a new beginning, a new life. There are times in life when we all have to make a sacrifice we don’t want to make, but we do it for those we love. Kind of like cutting your mama’s old rolling pin in half. My love didn’t want to, but he did it because he loves me. It is no longer useless, as it was in the lost and found drawer. It has a new use, a new beginning of service that symbolizes a strong familial love. I’m the lucky one who gets to lay eyes on that every day! And I thank him for the sacrifice he made for me. Above all, and with my whole heart, I thank God for the sacrifice He made. I have a new beginning, a new life, precious love. I am so spoiled, er, I mean blessed! 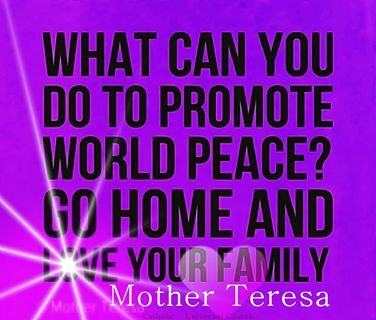 Folks, won’t you do me a favor and bless the world by praying for peace? Wow Pete that was awesome you doing that for Nan. Thank you for spoiling her!!! And may God bless you for all the wonderful things you do for her. And Nancy may God bless you for all the wonderful things you do for Pete. Pingback: Sneaux Days and Cabin Fever | Nan Tubre Writes . . .